The time is coming closer for our new baby girl to join the family. I have a page of "things to do before baby" comes and I am slowly crossing things off my list. One thing that I really want to be able to cross off my list is getting all the kids birthday books caught up! I make a book for each kid after each birthday. 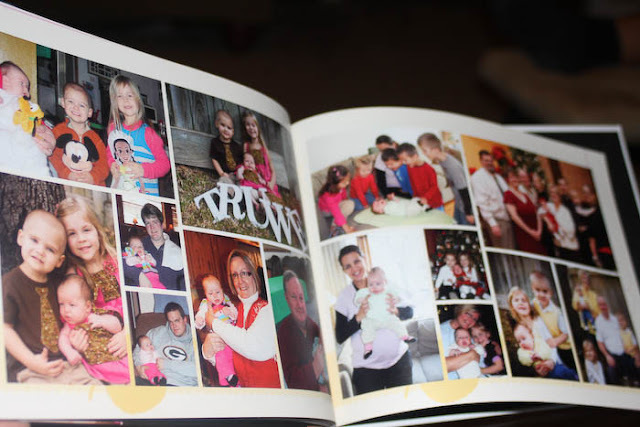 The book includes photos from their birthday (party if they have it, time with family if not), photos from their birthday photo session with me, a letter from Greg and I, and then the last few pages are just collages of photos from the year LEADING UP TO their birthday. 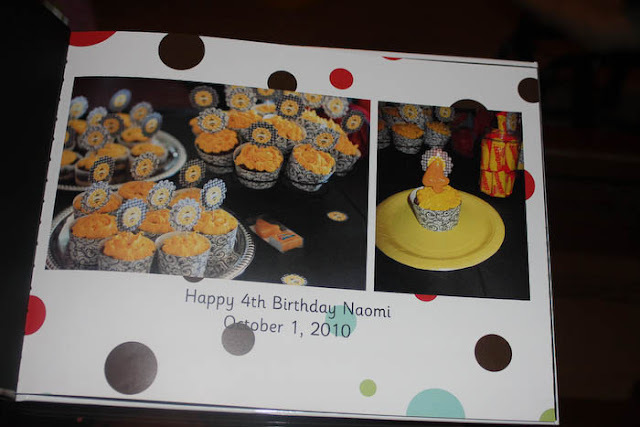 So their 5th year...before their 5th birthday party. Hope that makes sense. I have two more books to make before I am caught up!! I hope to get them done soon! Here are the books I have done so far. 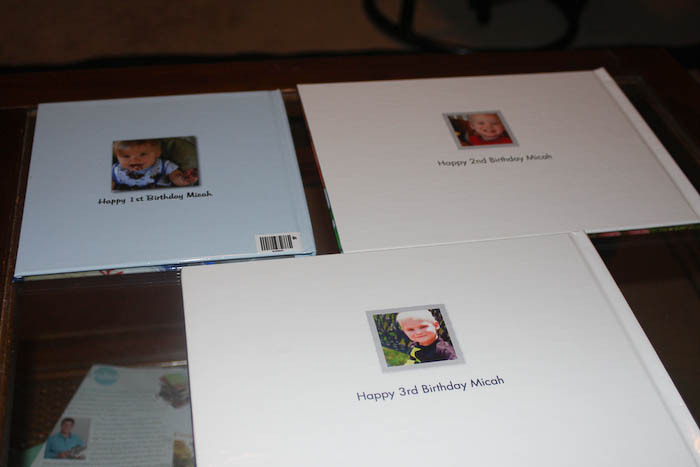 At some point I want to re-do Micah's 1st Birthday because I used a different company (which I'll talk about at the end of this post) and it was a smaller size than the others, but for now I just need to get caught up. 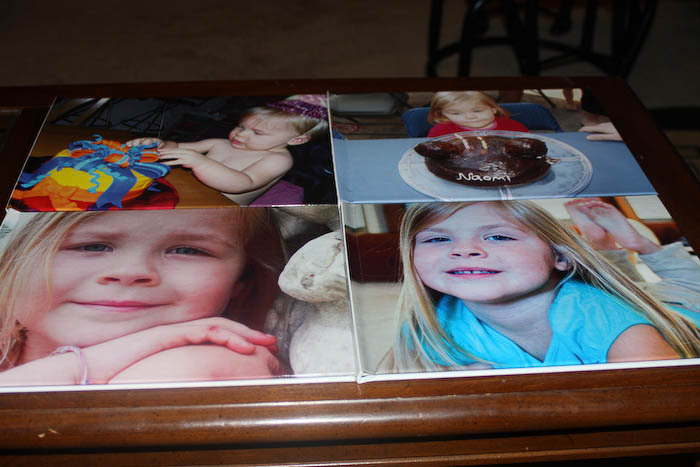 I try to use a photo either of them with their cake or from their little photo session that I do with them for the cover. 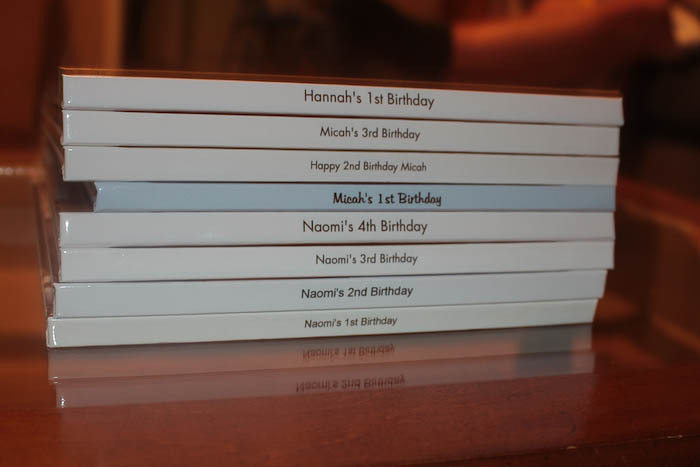 I try to make the spines all match pretty close and the back of the book as well. 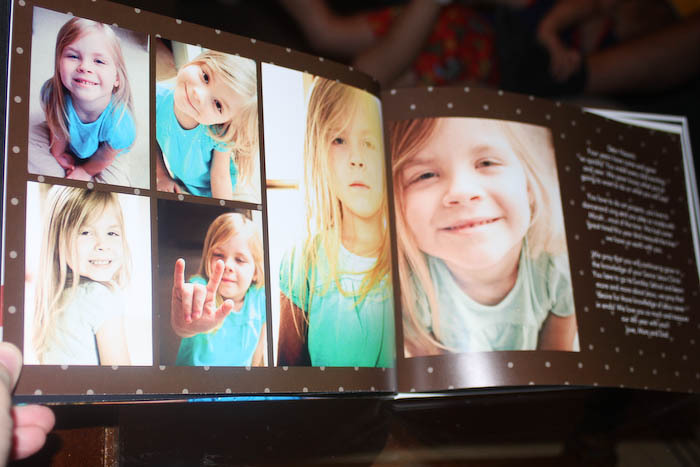 The back small photo is always one of their cake with "Happy # birthday child's name"
The first page is the same in all the book, pictures of the cake, and their name and date of this particular birthday. 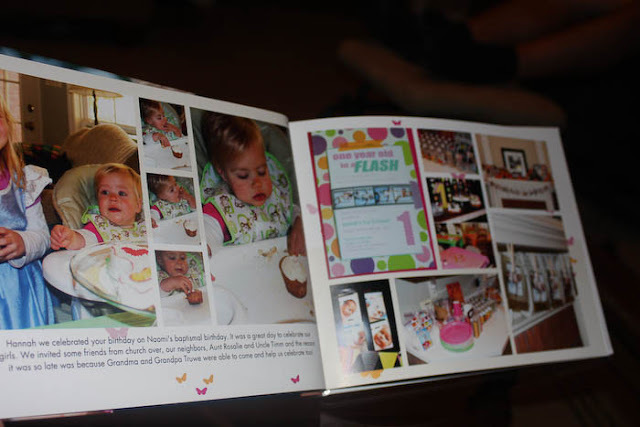 The next couple of pages include photos from their birthday, I include photos from the party if there was one, otherwise, just pictures of the family and the cake time! 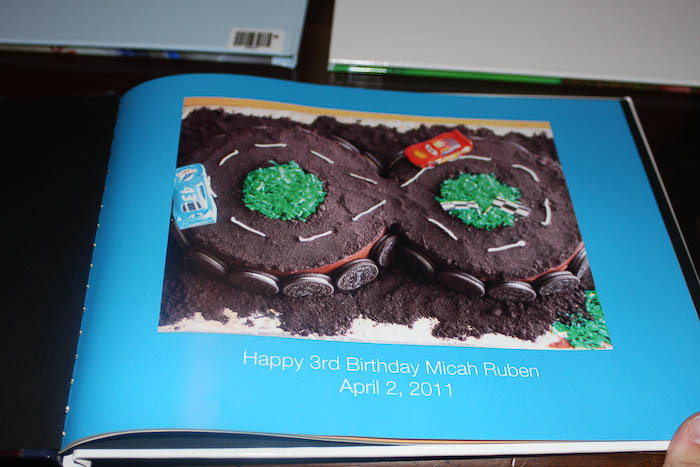 My kids ALWAYS associate birthdays with cake and a lot of times that's what they think a birthday is...cake. 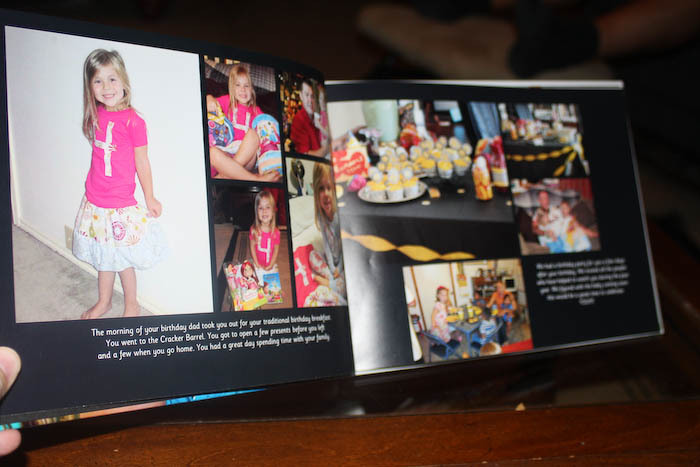 After photos of their party or actual birthday I include some photos from their photo session and a letter. I try to include specific things that happened that year, big milestones, etc...but since I wrote some of them two or so years later I don't remember much, so I need to be better about writing a letter on their birthday and saving it on my computer for when I get around to making their book! Then I just include a TON of photos. I don't journal, I don't label anything. 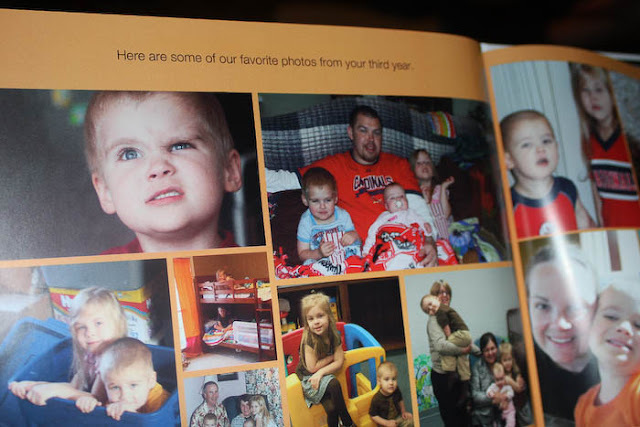 I just say "here are some of our favorite photos from your fourth year." 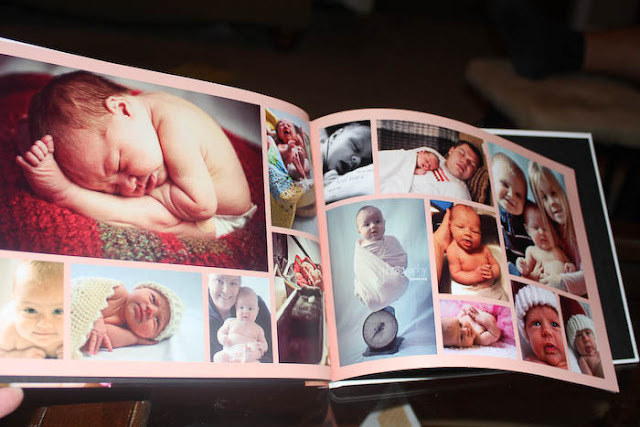 Sometimes I wished that I did journal about the photos but I really don't have time to do so, then they'd never get photo books. I do keep a journal for each kid with funny things they say and big milestones so at least they'll have that too....just have to do a better job of keeping up with the journals! And one little message before the book is finished! 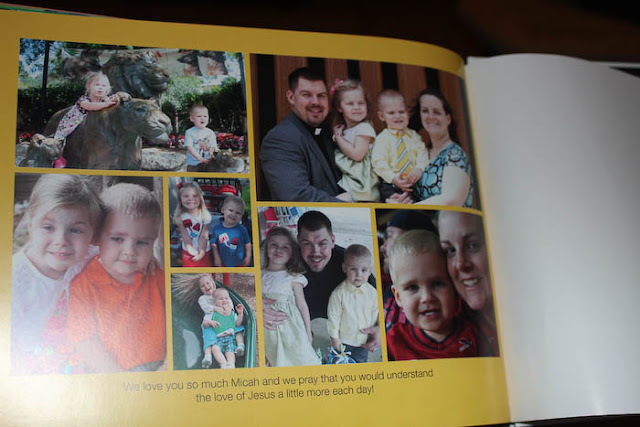 Here are Micah's books. Still need to do his fourth birthday! He shares a birthday with my sister and his grandpa T's bday is the day after so it was special to have them both there on Micah's (and Tracey's) birthday! 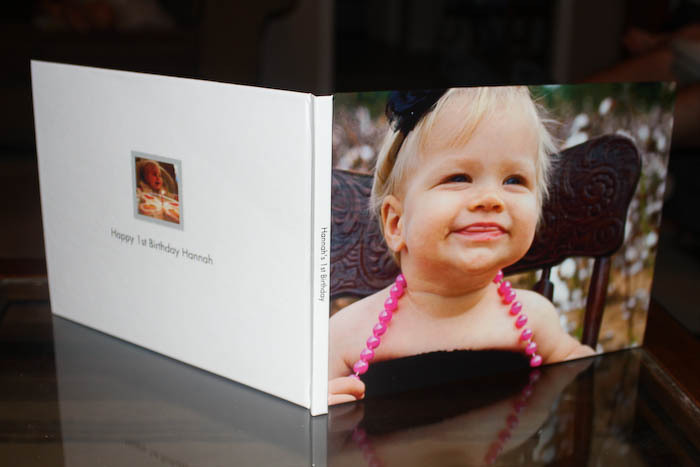 And here is Hannah's first birthday album. These next photos include each page from her book just so you can see what I do for a complete book. Let's talk about book choice and companies who print these awesome books. 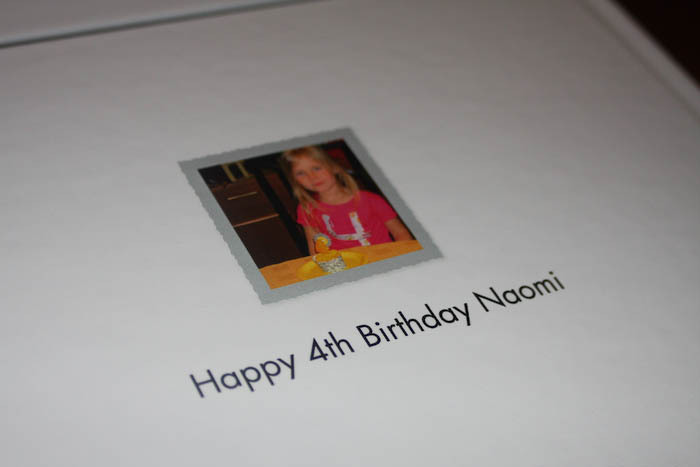 The first book I made was for Naomi's 1st birthday...logical right? I used Snapfish and haven't looked back. 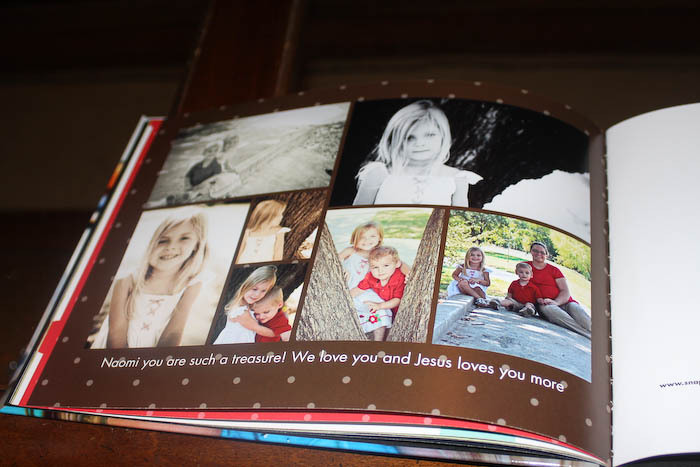 I had also previously printed books with Winkflash and Shutterfly. Here's my honest opinion about those three companies...take it for what you will. I like the quality of the Shutterfly books...but I'm really annoyed that they glue their pages into their books. 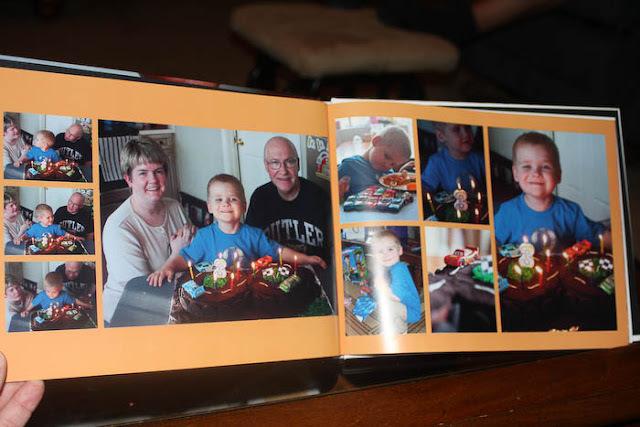 This photo below is Micah's 1st birthday book, from Shutterfly. I had a free coupon (and they give away free books a lot) so I thought I'd give it a try. 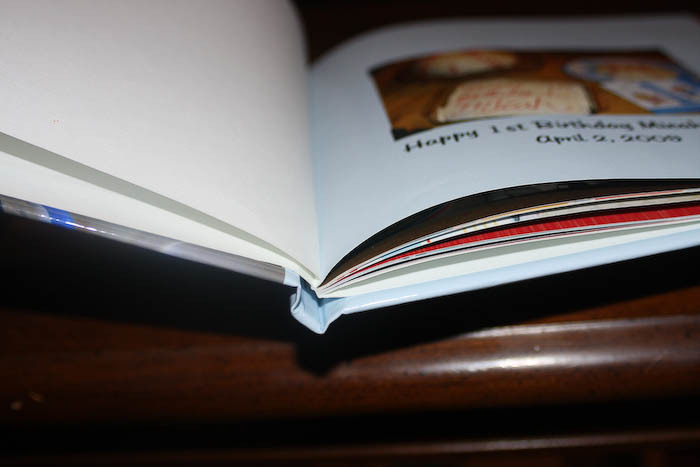 Like I said the quality of the pages and cover is good...but they use glue. So what's the problem with glue? Well, after opening and closing the books hundreds of times (which would take a while to happen) the pages may start to fall out. The glue is not going to last forever. So when they offer free books do I take them up on it...yes! But I make sure it's not a super special hugely important book to me...because I'd hate for it to fall apart when it gets looked at too much. 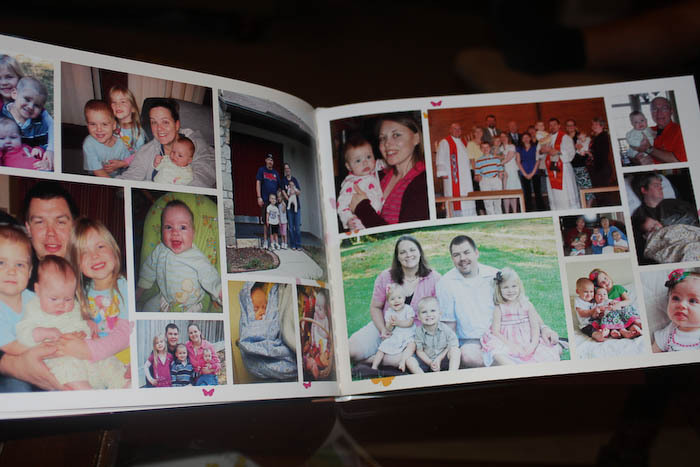 I like the quality of the Snapfish albums too. The pages that I get are glossy and I have no problem with that. 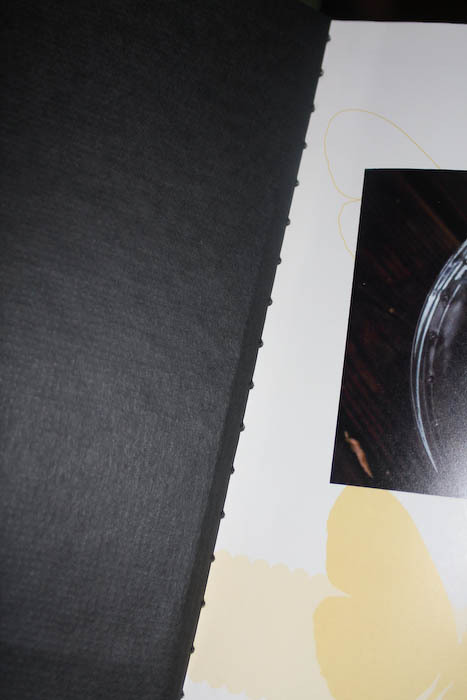 The covers print great (even when they say during the creation process that my photo might be pixely I've never had that problem), the colors are bright and true to life and they STITCH their pages. You can see right when you open the book that the pages are stitched in. They are not going to fall out with use and after being looked at over and over again (which I hope these books are). Snapfish does not usually offer free books but they do offer 20, 40 and sometimes even 50% off coupons. 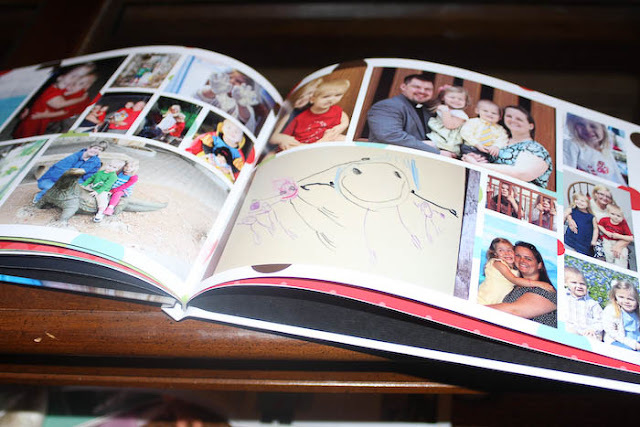 I've got one right now and need to get a few books designed before it expires! 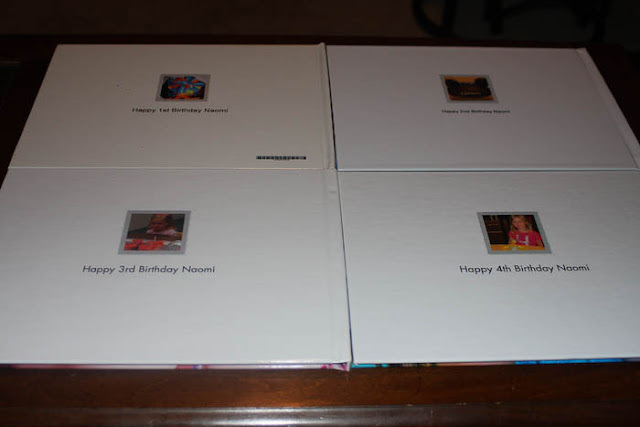 I've never gotten the photo cover books from Winkflash so I'm not exactly sure on the quality of those. BUT what I do get from Winkflash is the books they offer the "unlimited" page upgrade to. 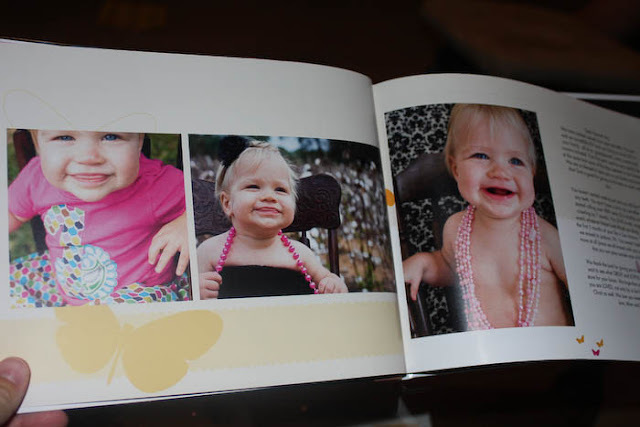 They will have a flat rate book sale from time to time and that is when I get my BIG books printed. I will get 100 pages (the maximum) printed and it costs me the same as a 20 page book. So I just look for the sales to determine which book I buy when. How do I keep track? I am signed up for each companies email newsletters and sales flyers. They have different sales all the time and I just try and keep tabs on who has what. My other big tip is to upload the photos and create the albums well before I get a flyer advertising a sale. That way I'm not scrambling at the last minute to put a book together (they do take some time to put together) and I've got it ready to go and I can take advantage of the sales. 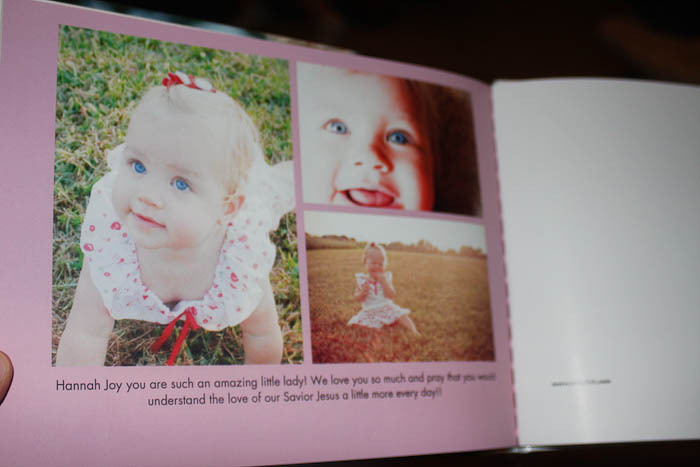 I mentioned before that I have a snapfish coupon code right now for 50% off but it expires tomorrow...so I'll probably get Naomi's book done and then create Micah's book and wait for another sale. The companies are all pretty competitive on price...these books that I order for the birthdays are 8x11...the free one I got from Shutterfly was 8x8. 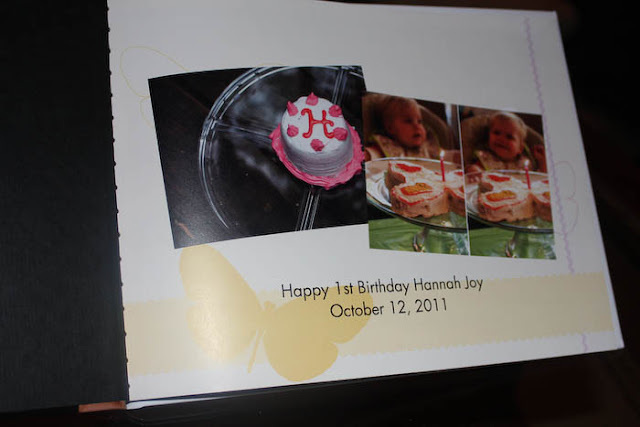 So the 8x11 custom cover 20page photo albums cost: Snapfish - $29.99, Winkflash - $30.95 and Shutterfly - $34.99. 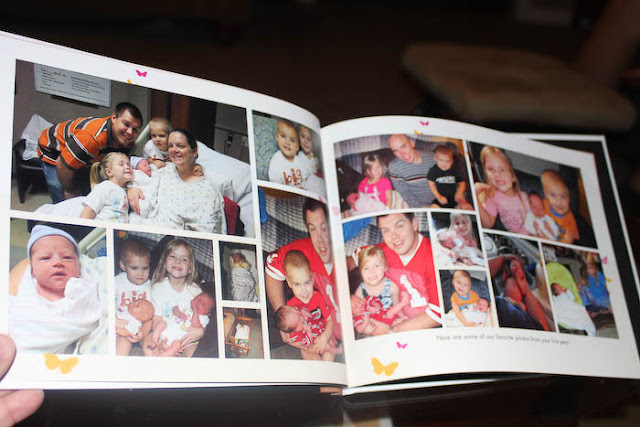 Now, I haven't ordered a book from Shutterfly for a while...so maybe they've started stitching their pages, I don't know (if you know could you please leave a comment and let me know). They have started offering genuine leather covers and layflat pages (which will cost a pretty penny) But I will not pay for a book that has glued pages, especially when I can get a good quality stitched book for $15 with a coupon!! Snapfish has started offering an 11x14 layflat album too. 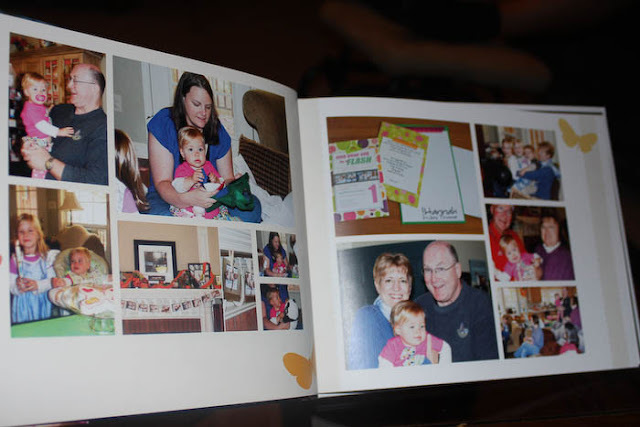 I have used Paper Coterie and I LOVE their books. 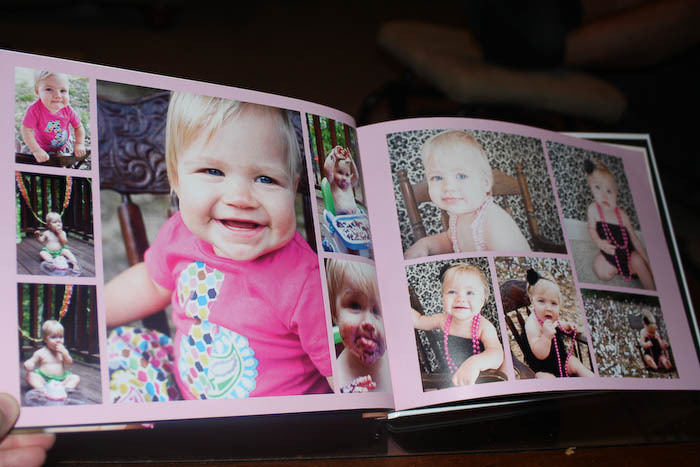 GREAT quality and super cute books. 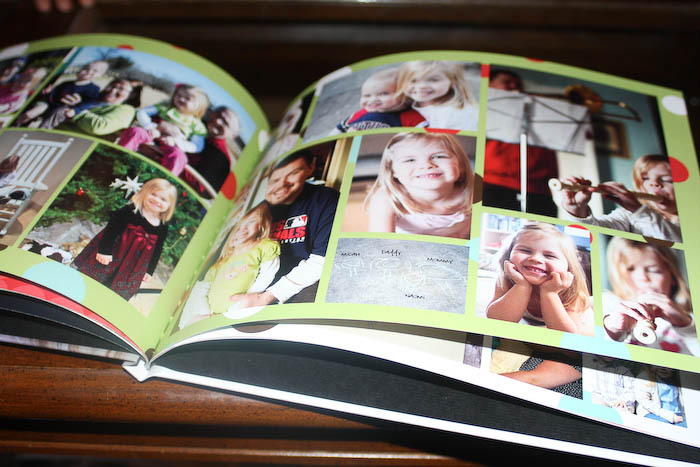 But I've not found a book on there that I can COMPLETELY customize. I've gotten two books from them when I had a coupon code (they were essentially free) and that is also where I got the kids journals (again for free). So, that's another great company to check out. There are a lot of other great companies out there that print books...Creative Memories, My Publisher, Picaboo, York Photo, Clark Photo, etc...but I've not tried them so I cannot share any first hand experience about their products. 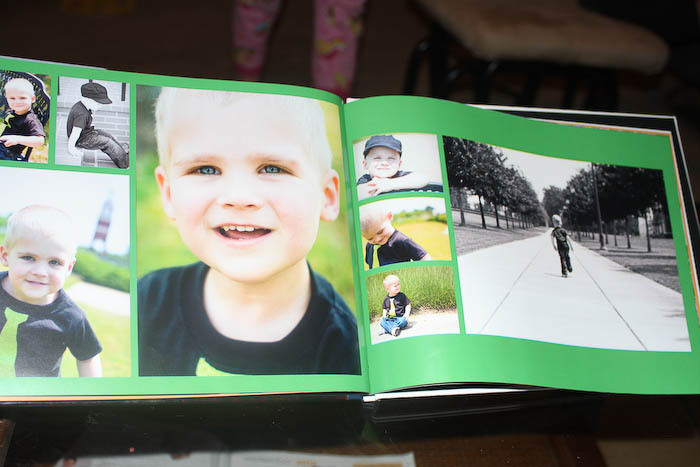 I do have a two albums from Creative Memories that were created for me, so I'm not exactly sure on price (I know they are a little more expensive than Snapfish) but the quality seems great and similar to the books I've gotten from Snapfish. 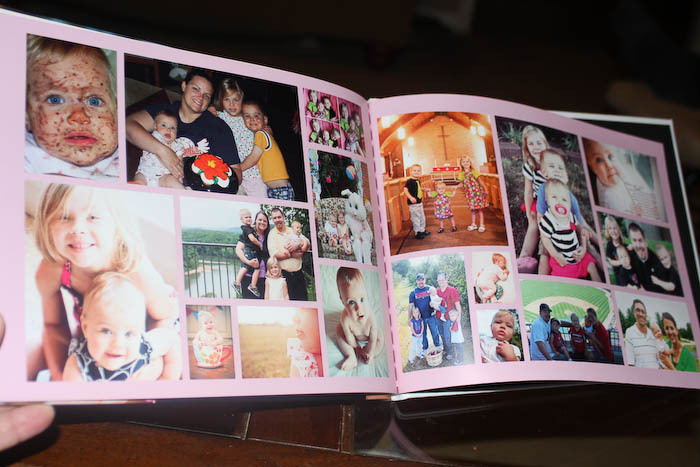 These are not the companies I use when printing books for my photography clients...they get a step-up in albums from the professional lab that I use! 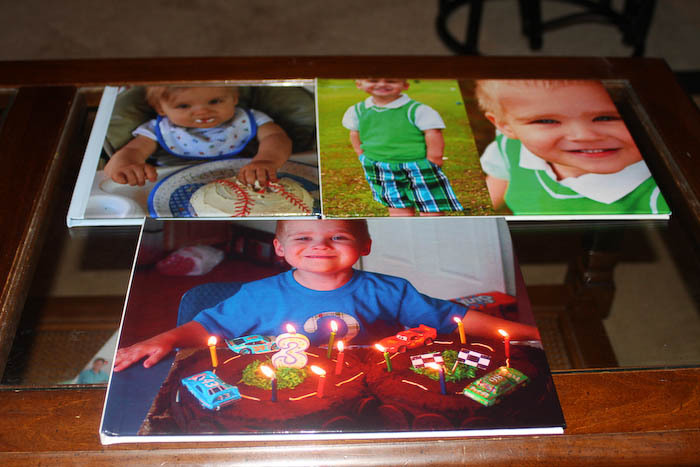 If you'd like to share your experience with any of these printing companies I'd LOVE to hear it! Please leave me any comments about books, your experience with companies, or questions you may have for me!! 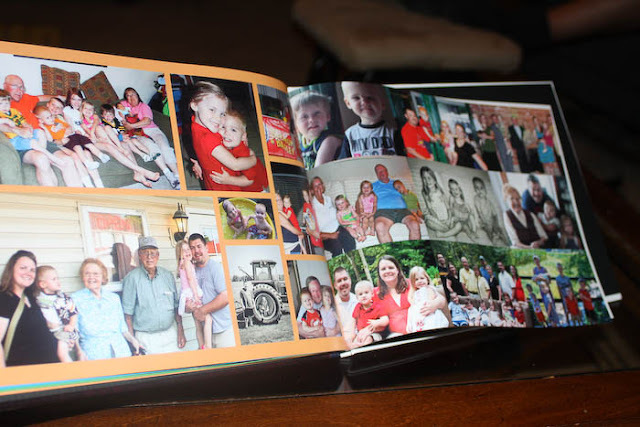 Get your memories off your computer and into the hands of those you love!! this is so helpful! i'm actually in the process of trying to choose where to make my next photo book with -thanks for your great review and advice! so glad you visited my blog-a-thon today, nicey!